This entry was posted on December 2, 2015 at 8:22 pm and is filed under Comedy, Holiday with tags 2015. You can follow any responses to this entry through the RSS 2.0 feed. You can leave a response, or trackback from your own site. Nice review Mark, we agree on many of the same points. I was hoping for at least a couple of good chuckles but this was largely a laugh less affair. The only scene I really enjoyed was when Rogen interacted with his in-laws at the church and that was just an inferior rip-off of a Curb Your Enthusiasm episode. Jonathan Levine has pretty much no comic timing in his direction and I got the feeling Levitt was mailing his performance in. Now you’ve got me wanting to watch the Curb Your Enthusiasm episode you mention. Never saw it, but I want to compare the two. Two stars, one for each guffaw. Hahaha! Brilliant. Yeah it’s that time I guess for Rogen et al to just dump a load of nonsense before a rolling camera and call it a day. With frustrating bits like these, I can totally empathize with the anti-Rogen crowd, which seems to be growing larger by the day. I must say though, Michael Shannon could have been really out of place but he always finds a way to make crap material work. As far as I’m concerned, Seth Rogen peaked in 2007 with Knocked Up and he hasn’t achieved that level of hilarity since. You’re right about Seth peaking in Knocked Up. KU should have catapulted him into a wider range of roles, but instead he just chose to play the same character over and over. 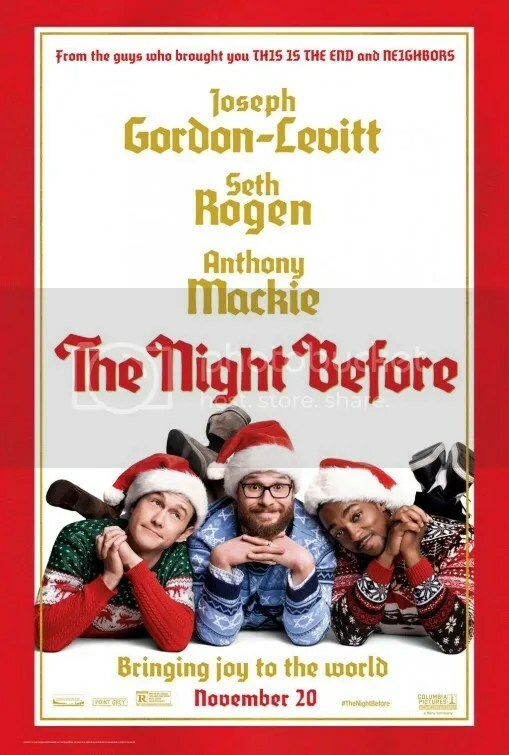 Seth Rogen in a stoner movie?? No way!! I know, right?! He’s such a chameleon. This guy has more range than Daniel Day-Lewis! This looked so lame on the previews. But now that you informed me Michael Shannon is in a few scenes I may have to watch one day and just skip to his scenes. Maybe he will be nicer to Joe in this one than Premium Rush. Good call. I had forgotten those 2 had worked together 3 years ago in Premium Rush. Yes. Watch it on video and FF to Shannon’s scenes. You can watch the whole movie in like 15 minutes. And Shannon and Mackie were also both in 8 Mile – although no screen time together. They both terrorized Rabbit, though! lol. Watched it last night with my 17 year old, just a bit nervous around the drug taking (as in those quantities might actually kill you). Didn’t quite know what to say to him on that…. I think it was a lazy banal flick to be honest. But did make me curious to revisit a Cheech & Chong movie (last time I saw one I was 17 I think) & see if it was equally as bad. Time is kind to these pictures. Up in Smoke is kind of looked upon as a classic “stoner movie”. Can’t believe that’s actually a genre. Yup, even though we shouldn’t be expecting to “find reason in a stoner comedy”, as you said, this one’s setup still was extremely weak. That coupled with the fact that everything else really wasn’t funny made this a negative movie experience for me. Glad I didn’t have to pay for this one. Shannon was great though. Even by the low standards of Seth Rogen comedies, this did really badly at the box office. Its popularity was in the league of The Guilt Trip not Neighbors. Mildly funny. Just too dumb though. 2 stars. The more I think about this, the more I dislike it. I’m amused by how annoyed The Night Before made you. “Buckle up for a series of scattershot gags and misfires.” That line cracked me up. Haha. I agree though that stoner comedies don’t often make much sense. You’re right that good ones usually do. I loved Michael Shannon in this movie and also found him a welcome presence. Personally I hated how they didn’t spend much time dealing with the guys’ arrested development. The one conversation about it between the three of them was way too short and didn’t solve anything. I found Joseph Gordon-Levitt unbelievable as the slacker and never bought any of the movie’s dramatic elements. That said, I did enjoy some of its zany gags and loose parody of other Christmas films. I can’t remember the last time we had a nice Christmas movie. Maybe Robert Zemeckis’ animated A Christmas Carol in 2009.